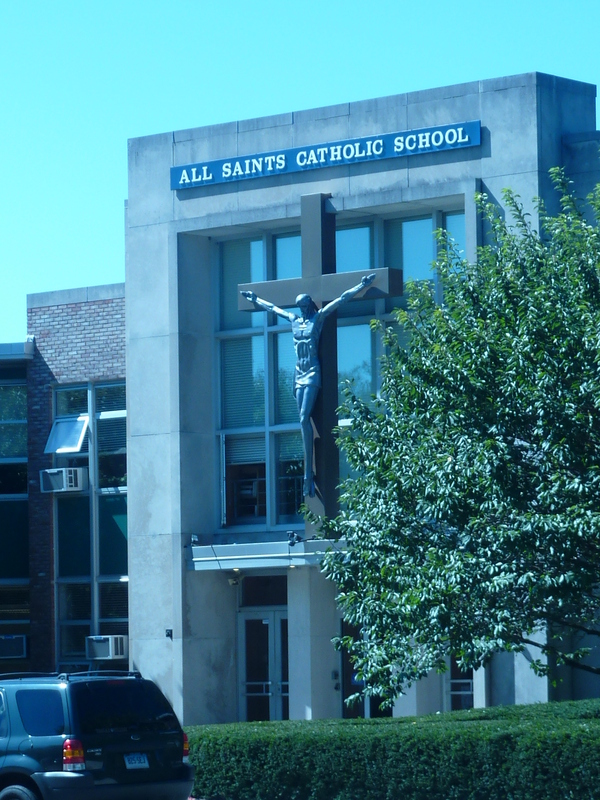 On Tuesday June 10, 2014, the Class of 2014 from Norwalk’s All Saints Catholic School graduated in a beautiful ceremony held in the school’s auditorium. 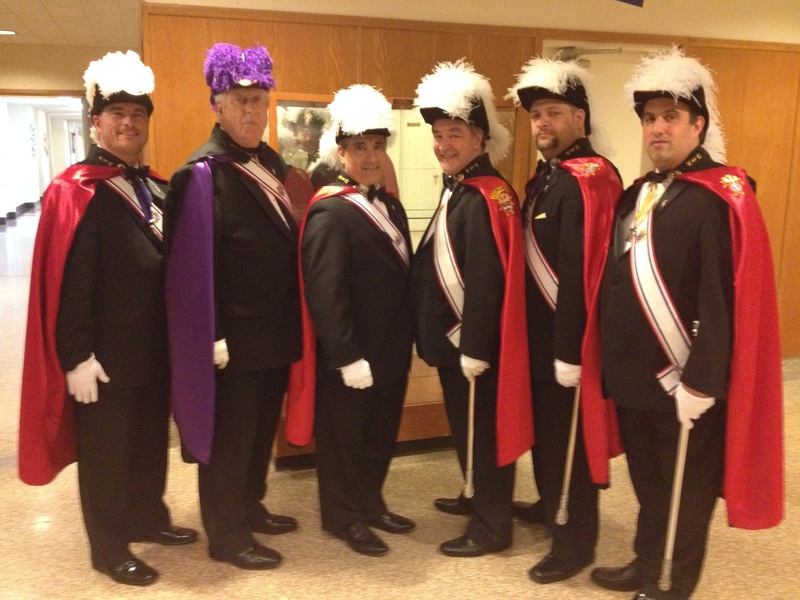 Six members of Bishop Fenwick Assembly #100 (all members of K of C Saint Matthew Council #14360) were in full regalia for the ceremony. Color Corps Commander Bill Berger led Sir Knights George Ribellino, Scott Criscuolo, Anthony Armentano, Scott Mazzo and Mike Colaluca in honoring the graduating class by taking part in the ceremony. On behalf of Council 14360, Grand Knight Ribellino also presented two $500 scholarships to a pair of deserving All Saints students who will be attending Catholic high schools. Starting in 2014-15, K of C Saint Matthew Council #14360 will name their annual scholarships in memory of Mario Mastracchio, the first Deputy Grand Knight of the council who passed away from cancer in 2009. Knights of Columbus St. Matthew Council #14360 is located in Norwalk and their fundraisers help many local organizations around the city, such as Malta House and Foster Care Agency of Connecticut.